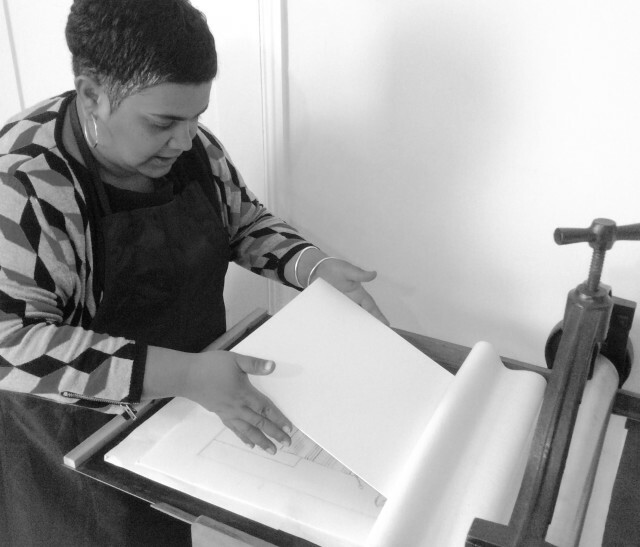 Born in London, Devi studied Fine Art & Music at Bishop Otter College, Chichester, specialising in printmaking. After graduating in 1997 she began to produce hand-printed bespoke stationery and greetings cards under the name Dazy Daisy Designs. In addition to her work as an artist, Devi was the founder and owner of the popular south-London gallery and arts centre, Melting Pot. Since 2003 she has devoted more time to producing prints and illustrations. Her work has been shown in solo and group exhibitions in the UK and appears in private and corporate collections. Corporate clients include : JH2 Media, KLM Royal Dutch Airlines, Blue Sea, St. Elizabeth Hospice, The Peligoni Club (Greece), Ship Co., Ashford Hospital, Classical Associates, Silversilver, Wooden Postcard Company, Choppings Hill, Elle, Thirty Second Films & more.